Happy Thanksgiving week! Is it me or did this year just fly by? 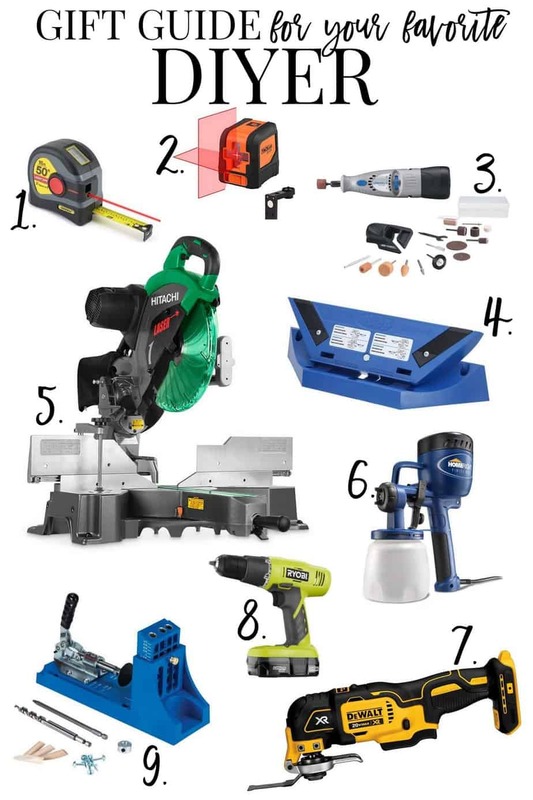 I can hardly believe we’re on the cusp of the holiday season again so soon!This post has been on my mind with every home improvement project I’ve done, and with the shopping season in full force I wanted to share a few of my most used, tried and true, can’t live without, all time favorite tools for those DIYers on your list (plus one wish of mine!) Affiliate links are included in this post for your convenience. These items are genuinely tools I own or have used and recommend. Read more about affiliate links here. I love this thing! 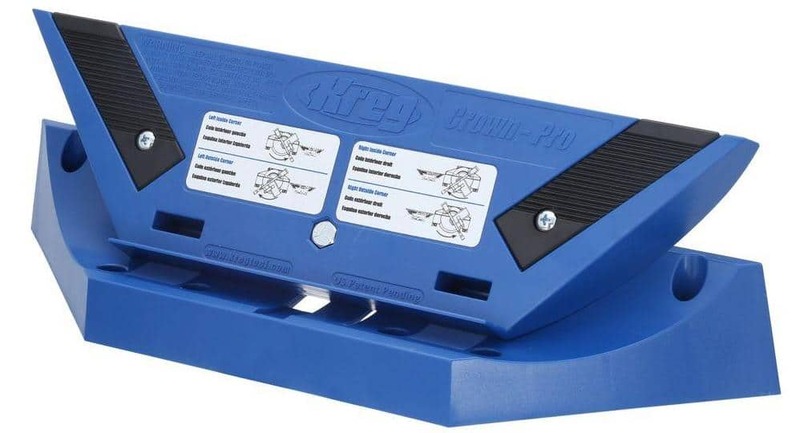 If your fave DIYer has crown moulding on the 2019 to-do list the Kreg Crown Pro will make the job so much easier. 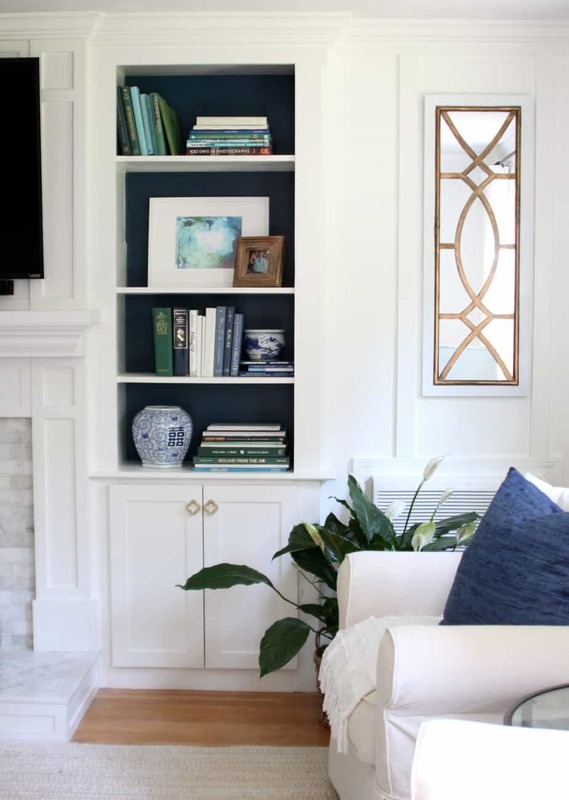 Crown moulding can be such a challenge to master, especially when you are working with odd angles or an older home with a lot of unleveled walls. 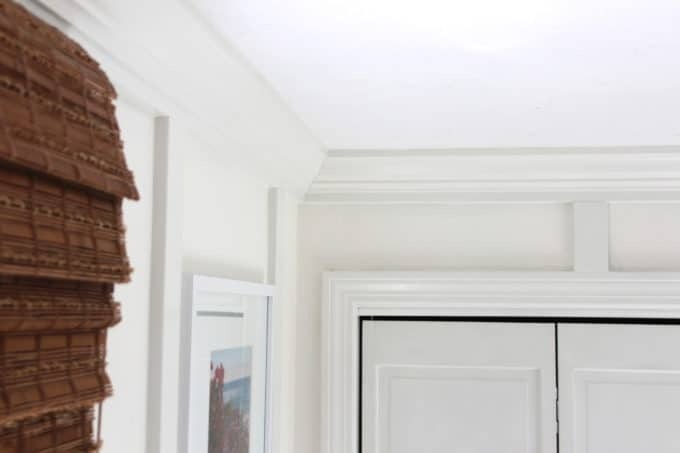 I’ve been slowly adding crown throughout our house and a couple of years ago when I was really struggling with making my crown moulding corners perfect, I saw this tool online and gave it a try. Watch a YouTube video to grasp how to use it, and once you understand the concept, it truly does make your installation more precise and moves the project along a little quicker. For the price this is definitely one of my favorite sanity saving tools! Mastering how to COPE crown moulding has also significantly improved my crown game, and I highly recommend a sturdy coping saw that has a comfortable handle. After borrowing a friend’s to try out, I finally bought a Kreg Pocket Hole Jig to build Sean’s laundry hamper and cabinet and can’t wait to build them. The one I have came with a screw kit and clamp. If you want to see tons of doable DIYs that this tool is handy for, check out I Am A Homemaker. Among many other projects, I love the huge farmhouse table that Jillian built! Your favorite DIYer can use this tool to build bookcases, mudroom lockers and furniture securely. 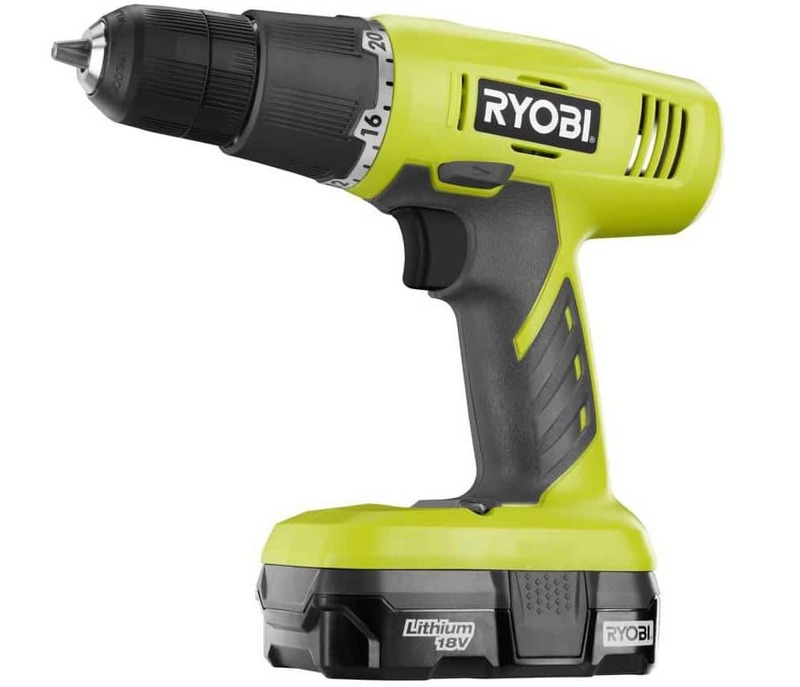 A good cordless drill/driver is a must for any DIYer; I have this one above that came with a charger, and really like it – it’s powerful and the battery lasts a long time. This accessory kit of drill bits and screw driver heads makes a great gift too. I received this rugged oscillating multi-tool as a gift and once I started figuring out it’s many uses I’m not sure how I ever survived without it!! I’m using it for a ceiling project in my dining room at the moment and let’s just say it’s rocking my world. 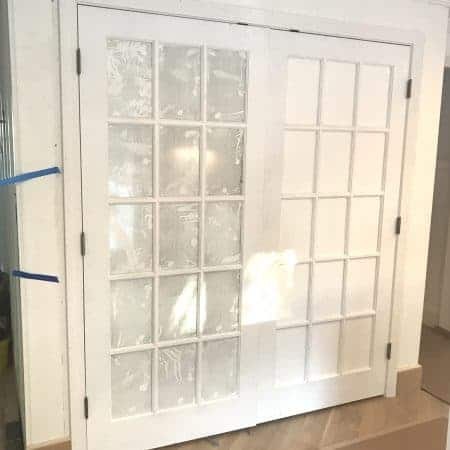 It can cut holes in sheets of wood or drywall, shorten door trim when installing floors, sand hard-to-reach places, remove tile and adhesive, cut nails out of trim, and a million other uses. When removing our foyer tile I bought this accessory set– a great value vs. buying the blades and sanding pads separately. The difference between prying tiles up with a crowbar and hammer vs. a battery operated multi tool with a tough blade is huge! It has definitely saved me hours of labor! 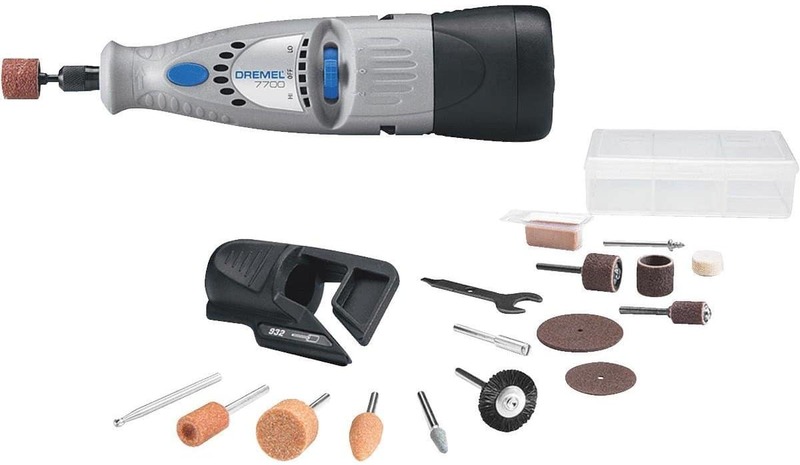 Dremel also makes a similar multi-tool to the Dewalt one above that I have, but I really love the small Dremel 7700 tool that tackles detailed sanding jobs, amongst many other tasks. 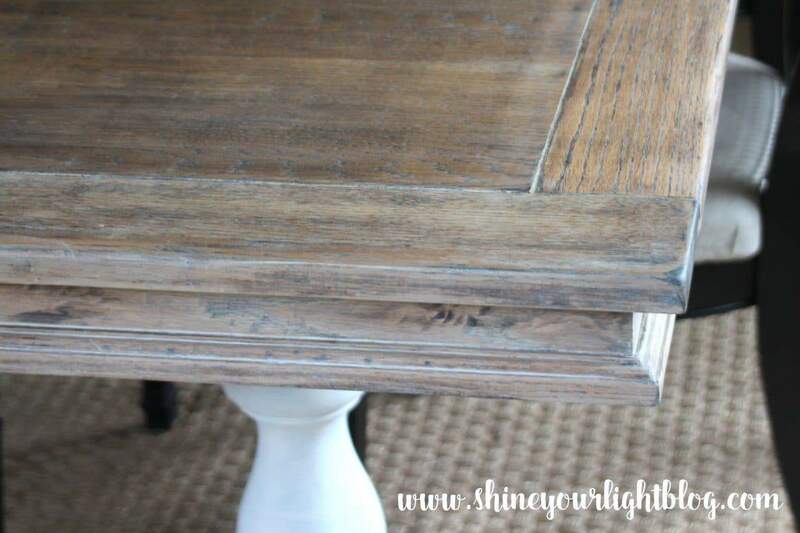 I used it to get into all the nooks and crannies of our dining table when I refinished it (first in walnut with a black base and a couple years later this limed version with a distressed white base). I have used this powerful little tool for a million projects around the house including cutting drywall and wood, cleaning tools, and removing shelves from a built in bookcase. 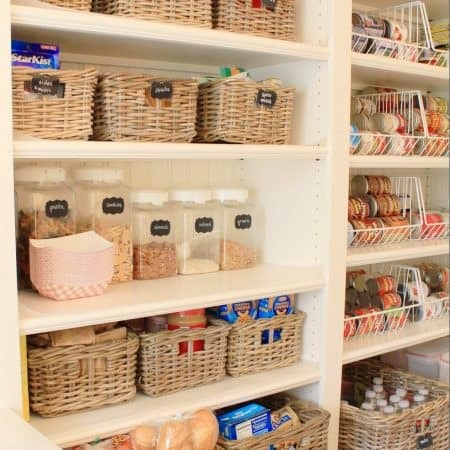 You won’t believe what it comes in handy for! 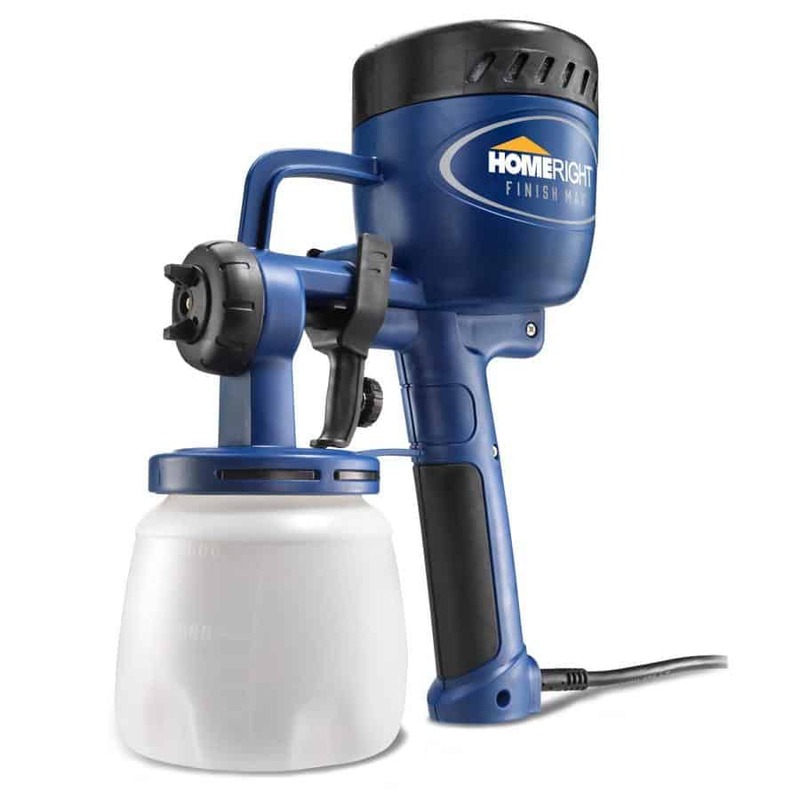 Check out this list of surprising projects to use a Dremel drill on. The only thing on this list I don’t have already but desperately want! 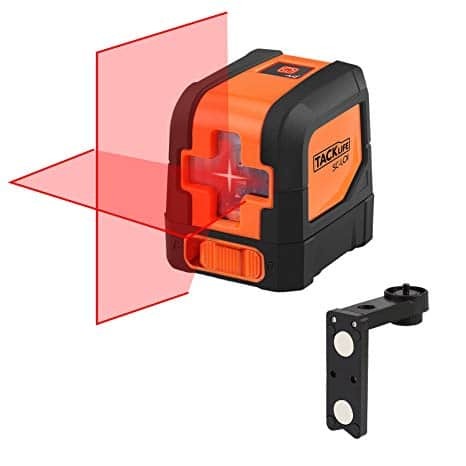 After installing wall moulding in our foyer, bathroom, family room and now dining room, this horizontal and vertical cross line laser level seems absolutely dreamy to me. It has a threaded mount and can be attached to a tripod so your hands are free, and as opposed to other laser levels that suction or nail to the wall, you don’t have to worry about it falling off or leaving a hole. 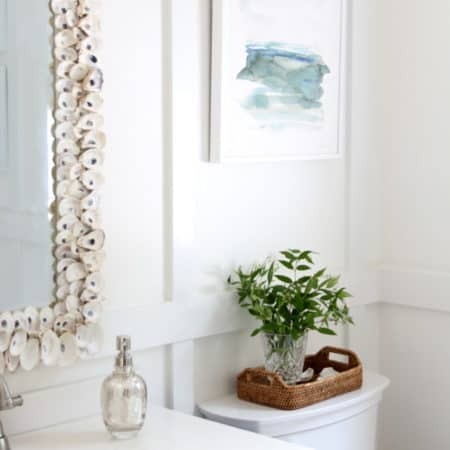 The cross line feature is HUGE for installing wainscoting, and just think how much easier it would be to hang a gallery wall with this handy tool. 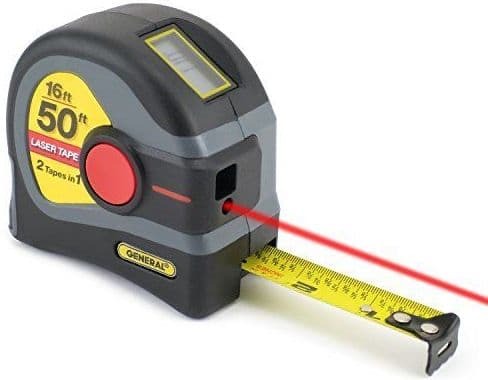 This laser level/tape measure combines both tools for under $15, and also has good reviews. Mark is laughing at me that I told him this is what I want for Christmas. I’m 100% serious! What can I say….some women love shoes…..some love bags…..tools get me fired up! Years ago when I first got this paint sprayer I painted a piece of furniture on our driveway and the whole project went so fast, and I was so fired up with my new toy, that I proceeded to paint our garage doors and then our front door that same day! 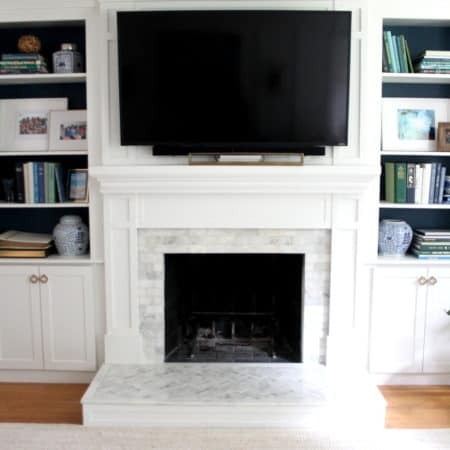 Paint sprayers are fantastic for painting cabinet doors, trim, furniture, stair and deck spindles – just off the top of my head I have done all of these projects and our family room built ins and fireplace surround with our sprayer. You have to prep a bit to protect adjacent surfaces from overspray, and it takes about 10 minutes to clean it well when you’re all done, but it’s definitely worth every penny and minute of prep and clean up! 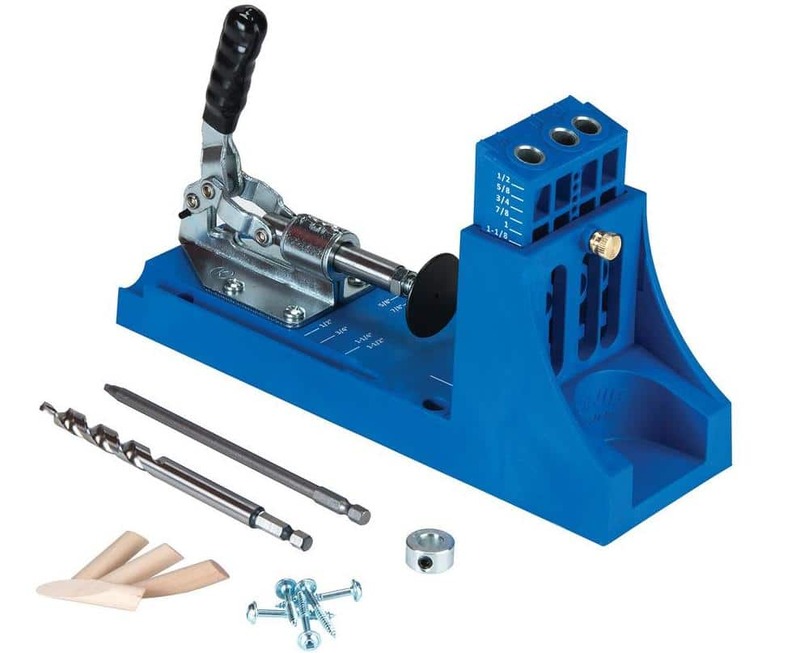 Last but not least, I can’t talk about my favorite tools without mentioning my miter saw. I would not have been able to tackle the extent of wood working projects in my house without it! 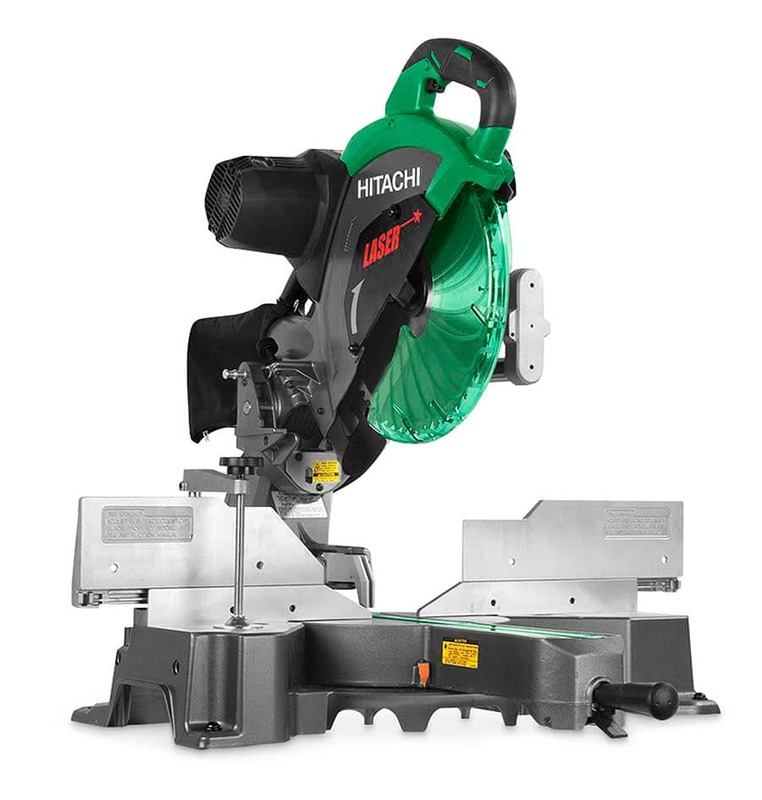 I LOVE IT but it is heavy and rather pricey; if you or favorite DIYer needs a miter saw for beginner home improvement projects, a smaller, less expensive saw would do just fine. 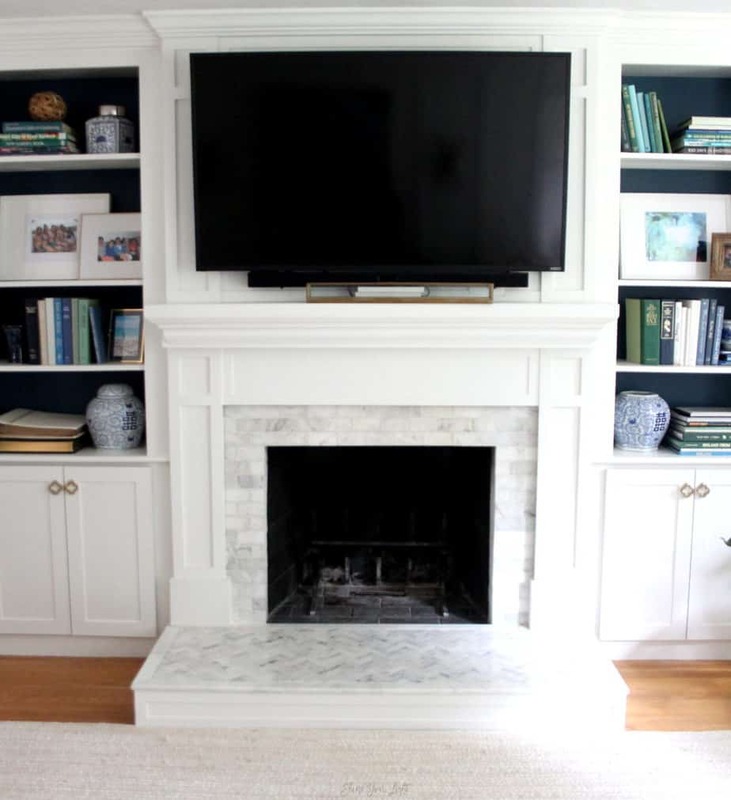 I’ve used my saw for EVERYTHING from installing wall and crown moulding, to building furniture, headboards, replacing our baseboards, the list is endless and mastering a saw opens up a world of home improvement possibilities! I hope you enjoyed this DIYers gift guide! If you’re looking for more shopping inspiration, don’t miss the Favorite Things Holiday Gift Guide event below hosted by Jenny at Evolution of Style, with tons of bloggers sharing great ideas to make your shopping a little easier this year! Next week I’ll be bringing you the annual My (Fifteen) Favorites Wish List which is always fun, and in the meantime look for an update about some projects around here, specifically the state of our floors and kitchen! Thanks for stopping by!